Rossiya Airlines took delivery of a fourth wide-body Boeing 747 (tail number EI-XLI), which was formerly operated by the now-defunct Transaero, and expects to begin flying the aircraft on July 12. The 747 will be leased by VTB Leasing, which announced that the aircraft has gone through a complete round of technical service before delivery by Chinese MRO provider HAECO. The 747 was first operated in 2000, and was flown by Japan Airlines for 11 years before being transferred to Transaero. The aircraft has a capacity of 522 passengers – 12 in business class and 510 in economy. Rossiya, which is a part of the Aeroflot Group, began to take delivery of 747s in April of this year, all of which have come from the fleet of Transaero. 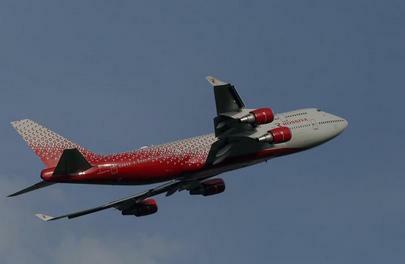 Currently in use by the carrier are the 747s with registration numbers EI-XLE, EI-XLJ and EI-XLF. Besides the 747s, Rossiya Operates 32 Airbus A320s, 15 Boeing 737s and four Boeing 777s.